Planting Cabbages: Teen-Chef Alumni Series: Meet Grace and make Tortellini di Ricotta e Spinachi! 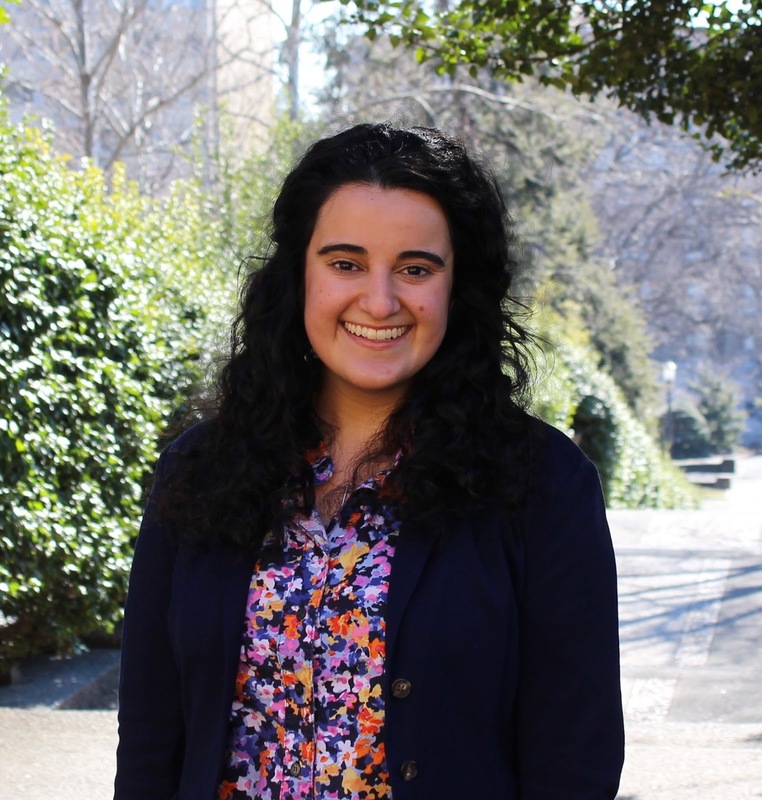 Teen-Chef Alumni Series: Meet Grace and make Tortellini di Ricotta e Spinachi! Ready to Start Your own Taste Adventure? 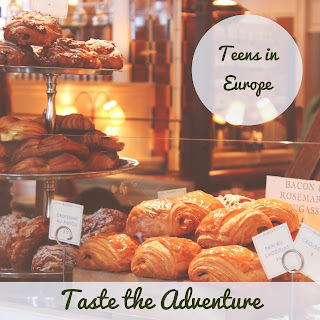 Click here to learn more about Teens in Europe this summer! Thanks for joining the continuing series on our Teen-Chef Alumni and discover Where Are They Now? I invite you to catch up on Nora, Elijah, Maya, Jonathan, and Cary. As well as learn more about Erick, co-leader and instructor of our very talented Summer Taste Team! Grace takes her joy of cooking with her wherever she goes! "At its root, cooking is a joyous act of love and service that is incredibly rewarding--especially when shared with others. It is also a bit of everything: a way to commemorate past traditions and a way to explore the world, a science and an art, ancient and modern, and commonplace yet extraordinary." I am excited to share Grace's story with you! Grace Lutfy was the first teen to arrive at RDU airport for Carolina on My Plate that summer. Her curiosity led her from Michigan to search out this experience, and as she went through the week, she gained comfort in a new kitchen, and all the kitchens we worked in. Whether at Fickle Creek Farm, Anathoth Community Gardens, the Carrboro Farmer's Market, Sunshine Lavender Farms or at C'est si Bon! But the kitchen was a place that Grace already loved, and where she had a strong family food and cooking connection that stretches over the Mediterranean. And still does. "I think the life benefits of knowing how to cook are… numerous. Knowing how to cook is a valuable skill that many people are taking for granted lately. It is a rarity now, with all of the new fast food chains springing up along with the overextension of people trying to do too many things at once. Food and the meal have lost their importance in modern-day society, so learning how to be a good cook would empower me and strengthen me because I could be set apart from the rest of society and be able to raise myself on my own, without depending on restaurants and other people to feed me. Another benefit that learning how to cook has to offer is that if I was to learn how to cook well, I could teach others and those others could teach more people, and so on. It is a tool that allows people to be creative, have fun, enjoy themselves, and learn new things about the world around them. It can familiarize people with different cultures around the world and bring people together. It can change people’s lifestyles and encourage others to try new things and go outside of their comfort zone. I love food and all of the variety it has to offer. Once these benefits are put to use, I’ll feel stronger and more independent. The life benefits of learning how to cook are too numerous to count, and I would love to learn how to cook to better the lives of myself and others around me." And so where is Grace today? Here's where! I graduated from the University of Michigan last year and received a BA in Public Policy with a focus in international security—or international relations and national security issues. Through my program, I was able to study multiple languages, various regions around the world, the challenges we face, and ways to solve them. I was even able to travel to Greece and take a course about the Anthropology of Food and the Mediterranean Diet. Now, I am in Washington, DC, looking for work in my field and keeping my passions for cooking and food alive. Luckily, it isn’t hard when there is so much to learn, new recipes and techniques to try, and amazing restaurants in the area for exploring new flavors! I aspire to better understand the world’s history, people, cultures, and movements. My experiences and studies have allowed me to learn so much about these things and more easily connect with any person I meet. Aside from all of this, they have also led me to learn more about myself, my family, my culture, and my history as a Chaldean, Lebanese, and Syrian Detroiter. On an everyday basis, I would say meaningful interactions give me a sense of satisfaction—whether it is helping someone, meeting someone new, talking to an old friend, keeping up with family, cooking for and with others, or sharing a meal. No matter where the future takes me, I know I will have my love for cooking and food. I always have, and I always will. Grace was recently in Sicily with her mom and sister, who lives there, and they took a pasta-making class at a local pasta shop. cracking a few eggs in the name of pasta! Grace contributing to the ricotta and spinach filling for the tortellini! Katrina and Grace's mom, Michelle, with Guiseppe and Andree. Katrina, Grace and Michelle, with their Italian instructors, Guiseppe and Andree, holding "certificates" after completing the class. Grace says, "Class was very tasty and very fun!" Merci, Grace for spending time with us again. We can't wait to see where you are headed, but where you are is a delicious place. Now who will be next? Join us for the next post on our Teen-Chef Alumni. this tortellini is from the C’est si Bon! recipe vaults of 2003, when we made a lot of pasta dishes in the school. Long before the whole no carb low carb no gluten craze. pasta is still very satisfying. but if you are on a no gluten diet, you might try making little bundles with collards or swiss chard. sauté the shallots, garlic and spinach in the olive oil, add in the ricotta, the chopped pine nuts, and the parmesan. store in the refrigerator until ready to roll. in a heavy pot heat the oil over medium heat. add the onions, then the garlic, the fennel, and the herbs. sauté these, stirring and tossing, for 7-8 minutes, or until softened. remove to a bowl and reserve. add the butter to the pan, and saute the mushrooms. add the flour and stir till incorporated, then deglaze with the wine or vinegar, scaring up any browned bits of vegetables. add the reserved garlic mixture and the stock and bring to a boil. taste ad season with salt and pepper. simmer for 30 minutes. to make the pasta without the aid of a food processor, mound the flour on a smooth work surface. make a well in the center of the flour and break the eggs into it. (remove the shells, please!) add a generous pinch of the salt and the olive oil. with one hand gradually incorporate the flour from around the edge of the well into the eggs, stirring with your fingers to form a doughy batter. use the other hand to support the edge of the flour well and prevent the eggs from flowing out. continue incorporating the flour until the batter feels fairly stiff but still pliable. if it still feels too soft, work in a bit more flour, until the needed consistency is reached. i truly believe its easier to make pasta this way because you can control the amount of flour and get a better consistency. divide the dough into fist-size portions. when you're ready to roll, flatten this portion slightly, and fully open the rollers. flour the flattened dough and pass it between the rollers. fold the rolled sheet into thirds and turn it 90 degrees before passing it through again. repeat the folding, flouring, and rolling process four or five times, until the dough is smooth. reduce the setting by one notch and pass the dough through again. continue taking the machine down a notch until the pasta sheet is thin enough to see your hand through when held up to the light. now you're ready to get the tortellini in shape. use a 3" inch biscuit cutter or a well-floured rim of an upside down glass to stamp out circles from the sheet of dough. in the center of the circles, place a teaspoon of the filling. using a small pastry brush or your fingers, moisten the edge with water. fold the circle of dough in half and press the edges to seal them and form a half moon shape. you can stop here, or go on to make tortellini. grasp each half moon, fold up the lower sealed edge to form a cuff, and pinch these curled ends together at the same time to make the familiar tortellini shape. set these aside on a lightly floured surface or sheet pan to dry a little before cooking, maybe half an hour. usually this is no problem, as you roll more, the first ones dry as you become knee deep in tortellini, then as you begin to cook them, the last ones have a chance to dry. bring a large pot of salted water to a boil, add the stuffed pasta, and cook al dente, about five minutes. drain and serve with your chosen sauce. Private Chef In London Major tha"nks for the post. Want more. Many work in restaurants, resorts, hotels and private homes.